While New Zealand was heading for the summer break a few weeks ago, China’s economic policies were being set out at its Central Economic Work Conference. Considering some of the discussion points I made before the end of 2017, there are no major surprises here. The main observation is that we should see China integrating its society more into its economic development, and vice versa. In a nutshell, it will be keeping tabs on how the country is developing. Striking a balance between growth and stability is fundamental to China’s economic policies from here on. In the midst of this list of seemingly internally-driven agendas, trade and investment will continue to feature as priority enablers. In the period January to November 2017, foreign direct investment into China rose 9.8% year-on-year to reach US$ 122 billion. Segments such as automation, digitalisation, financial services, healthcare, aviation, environmental technologies, and renewable energy businesses are new on the hit list for foreign participation in China. This list is well aligned with the economic policies listed above. In the same period last year, foreign direct investment in the services sector was up 13.5%, and constituted 72.5% of the total foreign direct investments. Given the increasing contributions of the services sector to China’s economy, it will be no surprise to see supply side structural reforms picking up at an accelerated pace in 2018. From March 1, 2018 a new set of rules will help to govern the overseas direct investments of Chinese companies. We will also see the removal of the provision that requires Chinese companies planning to invest more than US$ 300 million overseas to submit a project information report. Rather than submitting the report, Chinese businesses will need to inform the authorities. The authorities will perform interviews and random checks. 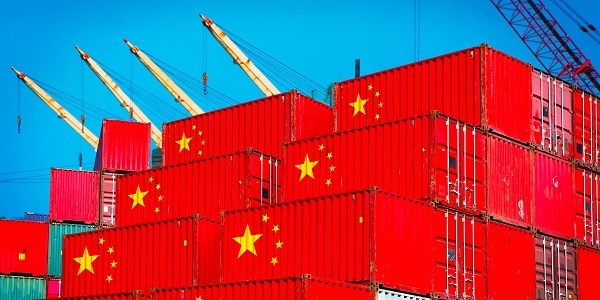 Under the new rule, Chinese companies are prohibited from investing in countries or regions that have no diplomatic ties with China and places involving wars or civil strife. It looks like after all the efforts around capital control in the last couple of years, China is finally relaxing its grip on capital outflow. But we will have to wait to see if this door that has been left ajar will be slammed shut again soon. On the trade side, China’s battle to be labelled as a market economy will continue to drive some of its trade agenda. While being the largest trading nation in the world in the last few years and accounting for one-third of global economic growth in the last two years, as well as shifting to an economy that seeks to be more investment oriented, trade remains relatively high on the agenda. Linking trade with investment and consumption within China will be key to this drive. Pivotal areas are infrastructural developments and innovation around the One Belt One Road Initiative and the Made in China 2025 Strategy. China has made good progress since establishing its pilot free trade zone in Shanghai. It now has 11 such zones, where foreign companies can enjoy streamlined registration procedures amongst other benefits. We will see China’s financial world implement more rules that will affect how banks, insurance, and securities companies operate, as the country seeks to mitigate its financial risks. A related area to look out for is e-commerce platforms. Rules are continuously being put in place to manage appropriate supply credibility and customer protection. So we should also see more tightening of the rules of engagement with e-commerce channels. All in all, the trends suggest that 2017 has not really come to an end when it comes to understanding China in 2018. *Siah Hwee Ang is the BNZ chair in business in Asia and also chairs the enabling our Asia-Pacific trading nation distinctiveness theme at Victoria University. You can contact him here.